Orignally Made by: Automatic Electric Co. The AE40 made a cameo appearance in the 1999 movie, "The Matrix." 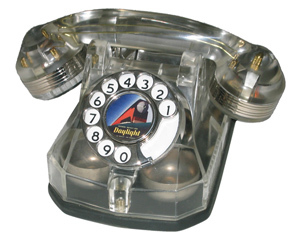 Usually labelled 'Monophone' on base.